From September 2015 to November 2017 I worked as a data analyst at QAA in the Evaluation and Analytics team. In this role I managed data innovation research projects and other activities that supported the development of policy and operations in the quality assessment of Higher Education. This included looking at relevant metrics such as TEF, NSS and student experience surveys, Learning Analytics, data visualisation and social media data. I led on M5 data work (Jisc/HESA and QAA) and participated in, and scrum mastered on, the BI analytics labs project. I am a member of the Community dashboards experts group. I also tracked new developments, looked at future trends in HE data and their applicability for regulating quality and standards in Higher Education. From May 2013 to July 2015 I was a project manager for Open Knowledge working on various European project. My key project prior to leaving was the PASTEUR4OA Project, developing and/or reinforce open access strategies and policies across Europe. As part of this work I created a series of data visualisations using data from the ROARMAP Open Access policy repository. I also supported Europeana Space, creating new opportunities for employment and economic growth within the creative industries sector based on Europe’s rich digital cultural resources. As part of this work I built the Open Collections area on the OpenGLAM site, the site uses Omeka collections management software. Prior to this I led on dissemination and community building on the LinkedUp Project, supporting the adoption of open data by educational organisations and institutions. While working at Open Knowledge I co-ordinated the Open Education Working Group. The Open Education Working Group has been established to bring together people and groups interested in open education. Its goal is to initiate global cross-sector and cross-domain activity that encompasses the various facets of open education. 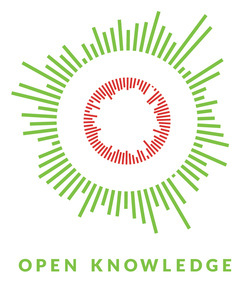 Open Knowledge is a non-profit organisation founded in 2004 and dedicated to promoting open data and open content in all their forms – including government data, publicly funded research and public domain cultural content. It is a global organisation and community activities are organised around individual working groups, regional communities and projects, each focused on a different aspect of open knowledge, but united by a common set of concerns, and a common set of traditions in both etiquette and process. Open Knowledge believe that a vibrant open knowledge commons will empower citizens and enable fair and sustainable societies. I've been interested in the open agenda for good while. My first work in this area was around Creative Commons licenses and Open Educational Resources (OER) back in 2005. Since then I have created open educational resources (OERs), worked advocating open access and supported open research data through my work at the Digital Curation Centre (DCC). In 2012 I participated in the Introduction to Openness in Education Massively Open Online Course (MOOC) organised by David Wiley. As part of this course I wrote a series of blog post about many 'open' areas: open content, open access, open course ware, open access, open teaching, open business models, open policy etc. I worked for UKOLN based at the University of Bath for 13 years from May 2000 to July 2013. I was an Institutional Support Officer for the Digital Curation Centre, working towards raising awareness and building capacity for institutional research data management. The DCC participated in a series of institutional engagements from September 2011 till July 2013. The Digital Curation Centre is the UK's leading hub of expertise in curating digital research data, they provide expert advice and practical help to anyone in UK higher education and research wanting to store, manage, protect and share digital research data.The DCC also provides access to a range of resources including our popular How-to Guides, case studies and online services. From 2008 I was the remote worker champion at UKOLN. In this role I am worked towards ensuring that the UKOLN remote workers were more included in UKOLN activities and integrated into UKOLN culture. I write a blog entitled Ramblings of a Remote Worker to document my reflections on related issues. in September 2009 I won the Remote Worker of the year Award and the Cliveden House Award. In 2011 I worked as a research officer in the Community and Outreach Team at UKOLN. In this capacity much of my work involved exploring Web 2.0 technologies and their relevance to the communities we work with. The JISC Observatory, a JISC-funded initiative to systematise the way in which the JISC anticipates and responds to projected future trends and scenarios in the context of the use of technology in Higher & Further Education, and Research in the UK. Greening Events II, a small exploratory project into how to minimise the sustainability impacts of academic related events. One of my biggest areas of work was as Co-chair of the Institutional Web Management Workshop, an annual event that provides an opportunity for those involved in the provision of institutional Web services to hear about institutional case studies, national initiatives and emerging technologies and to actively participate in a number of parallel sessions. In 2010 I worked on the JISC Beginner's Guide to Digital Preservation project, looking at the creation of a straightforward and pragmatic guide to digital preservation for those working on JISC projects. The project blog continues to be updated with my thoughts and experiences in digital preservation and curation. The JISC Beginner's Guide to Digital Preservation was released in November 2010. I have been interested in, and worked on, several projects connected to Galleries, Libraries, Archives and Museums over the years. From September 2009 to March 2010 I organised and facilitated a series of workshops for the MLA entitled An Introduction to Web 2.0 and the Social Web. The series was complimented by the UKOLN Cultural Heritage area and a collection of Cultural heritage IntroByte briefing papers. A sum up of the workshop series is provided in this blog post - Summing up the UKOLN/MLA Web 2.0 Workshops. Prior to this in late 2008 - early 2009 I was project manager on the Good APIs project aimed at providing JISC and the sector with information and advice on the factors that encourage use of machine interfaces, based on existing practice. It produced several reports and briefing papers along with some user-friendly guidelines on best practices for planning, consuming and creating APIs. More information on Good APIs is available from the project blog. In 2008 I worked on the JISC-PoWR: The Preservation of Web Resources project. The aim of this work was to raise awareness amongst the web manager community of the need to look at Web preservation processes. We ran a number of workshops and wrote a handbook which is currently being revised. More information on JISC PoWR is available from the project blog. From April 2004 to April 2008 I was a member of the Interoperability Focus team. Interoperability Focus was a national activity, jointly funded by the Joint Information Systems Committee (JISC) of the Further and Higher Education Funding Councils and Museums, Libraries and Archives Council (MLA). During this time I worked on a number of different pieces of work exploring, publicising and mobilising the benefits and practice of effective interoperability across diverse information sectors, including libraries and the cultural heritage and archival communities. I was responsible for the JISC Standards Catalogue. This is a list of technical standards relevant to the whole scope of JISC's work housed in an online catalogue. I was also involved in the development of a Supplier Selector Toolkit for Disks-uk. From August 2003 till April 2004 I was Project Manager for the ePrints UK Project. The ePrints UK project aim was to develop a series of national, discipline-focused services through which the higher and further education community can access the collective output of e-print papers available from compliant Open Archive repositories, particularly those provided by UK universities and colleges. As project manager I co-ordinated activity. I was also involved in organising the ePrints UK workshops that ran around the country in 2004. From August 2003 till April 2004 I was Project Manager for the Subject Portals Project. The RDN Subject Portals Project (SPP) was a 2 year project funded by JISC as part of its 5/99 Learning and Teaching call. The aim of the call was develop the visibility of the JISC IE supported information resources. Additional funding was given for a year beginning August 2003. Phase 2 of the project continued the ongoing maintenance and development of the portal services at the hubs and looked further into the installation of the portal services. There was also consideration of the impact on users of the portal installations at the eight participating hubs and investigation of integration of the portal services within institutional interfaces. As project manager my main role was co-ordination of activities and evaluation. From January 2002 till December 2003 I worked as part of the QA Focus team. As QA Focus I aimed to support JISC's DNER (Distributed National Electronic Resource) programme by ensuring that funded projects comply with standards and recommendations and make use of appropriate best practices. QA Focus has received additional funding and will now be carrying on into 2004. More information on this work can be found on the QA Focus Web site. From January 2002 to August 2002 I worked as a NOF-digitise Advisor and co-ordinated technical support and advice services provided by UKOLN and the Arts and Humanities Data Service to the NOF national digitisation programme. The nof-digitise Technical Advisory Service is available at http://www.ukoln.ac.uk/nof/support/. From May 2000 to December 2001 I was an Information Officer within UKOLN's Information Services Team (IST). IST was involved in both dissemination and research projects. My main role was as editor for Exploit-Interactive and Cultivate-Interactive Web magazines. Both magazines have now finished but will remain available from the UKOLN server for at least another 2 years. I was also the deputy editor for Ariadne Web magazine. During this time I gave a number of presentations and workshops around the UK on the development and publishing of Online publications. I edited and redesigned several of UKOLN's Internet sites.